In an act of masochism, everyone in Brussels and who is working for the EU institutions, particularly, the EU Commission, reads it. It could not be more critical of the EU and its policies. Although it is a weekly that I truly enjoy reading in general, I have huge challenges when it comes to their reporting about the EU (like in any British media as anything what is coming out of the EU is bad – with the noble exceptions of the BBC and the Guardian). The latest suggestion of the Economist, however, is particularly absurd and anti-democratic. 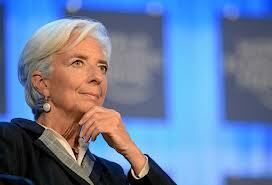 The weekly argues that Christine Lagarde should be the next EU Commission president. I do not have anything against her and I would welcome a selection of her by the European People’s Party (EPP) as the main conservative candidate. It would be no problem at all. However, the suggestion that the European Parliament should just outrightly be ignored – because it is “dysfunctional” – and the European heads of states and governments should decide, yet another time, about the future president of the European Commission, then I know that there is something wrong. As I pointed out recently in a blog post, it has been a big step forward for European democracy that the European Parliament went ahead and interpreted the Lisbon Treaty in the favor of the Parliament – as well as for EU citizens. Because after all it will be possible to have a real influence with your vote of who will head the EU Commission, the de facto government of Europe. What is an “uninspiring list of Eurocrats” for the Economist, is for me a list of formidable and outstanding European politicians. The Economist goes on to say they are “still mouthing nostrums about [an] ever-closer union.” The weekly is wrong, because when these individuals stand up for more integration instead of listening to Europhobes then this is exactly what the EU needs and it will strengthen the union and the development of all 28 member states and its citizens. And finally it should certainly not matter from which member state a candidate is coming from – the quality should decide. This, however, is only possible when it is clear of who is the candidate, otherwise another Barroso is awaiting the EU. A return to decisions behind closed doors where I as an EU citizen have no influence who will head the most important EU institution should be gone. This kind of practice should and will be a practice of the past.